Who doesn't need a place to stash some emergency juice? 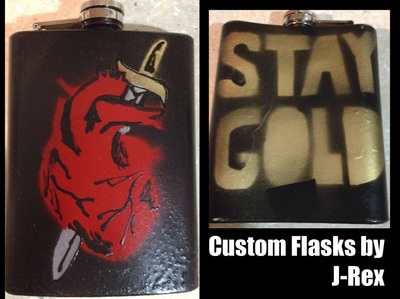 A custom flask is the perfect way to stylishly take an adult beverage on the go. Each flask holds 8 oz. 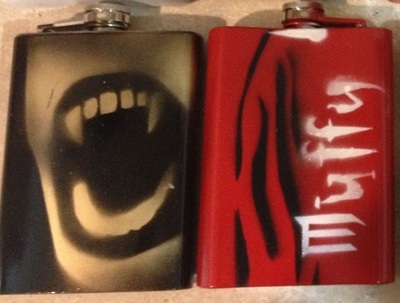 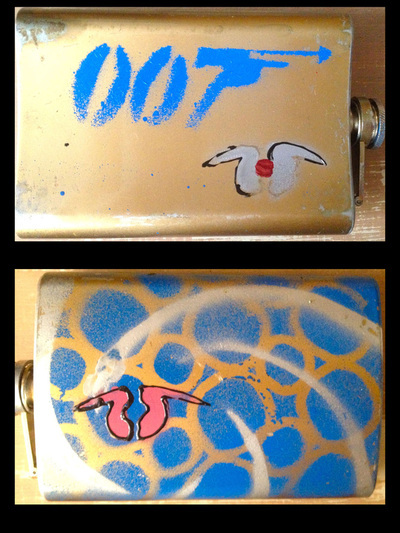 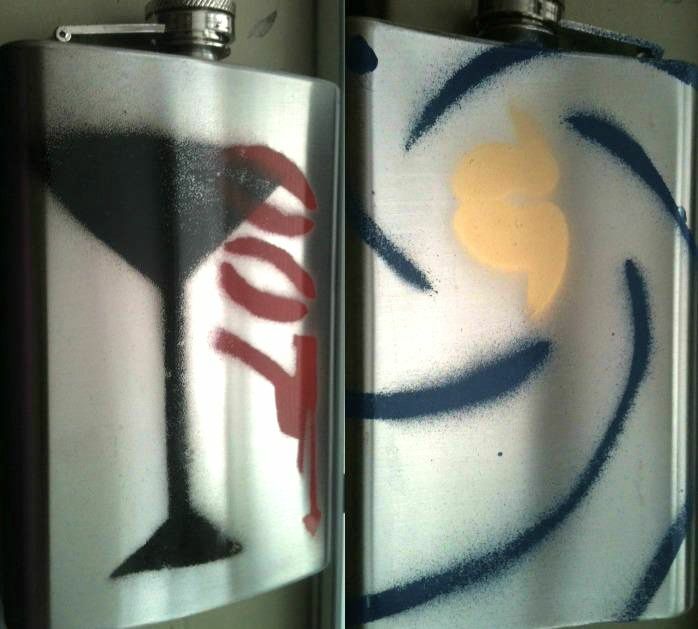 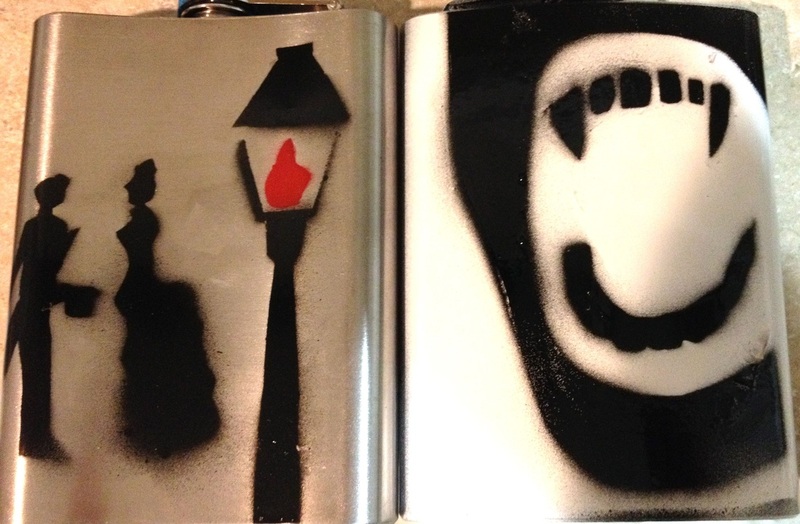 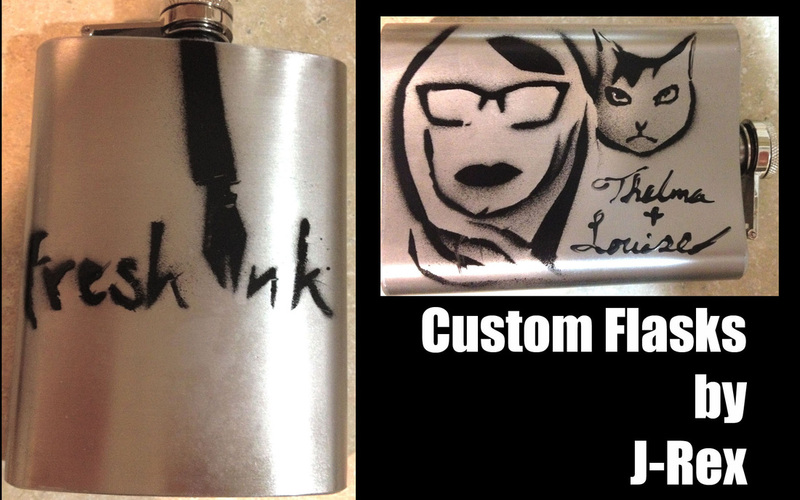 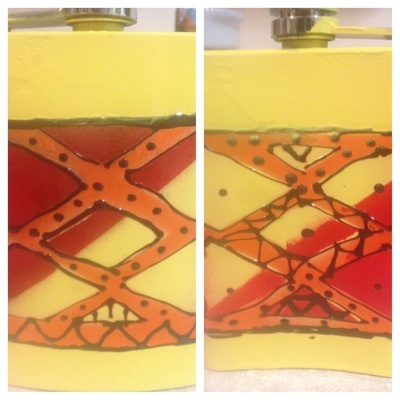 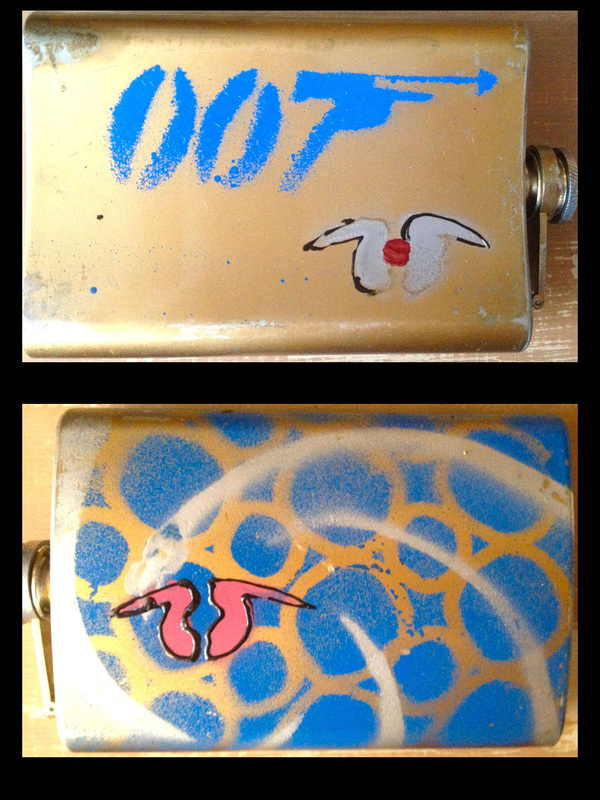 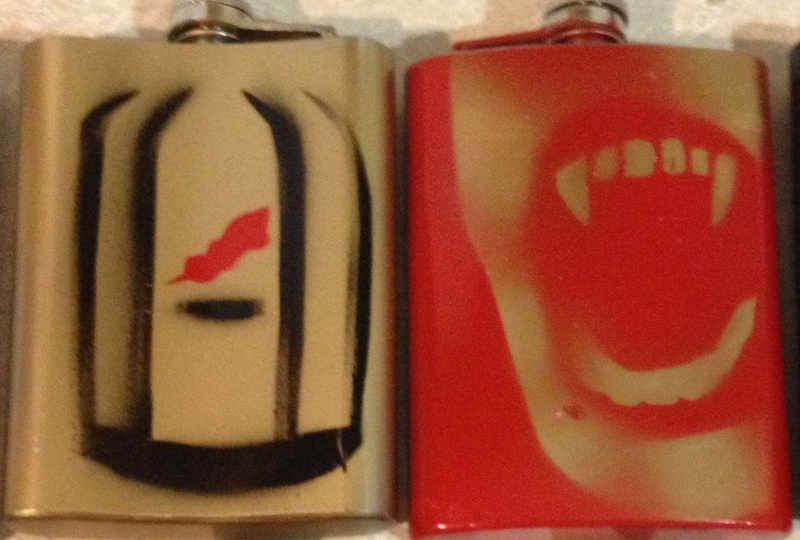 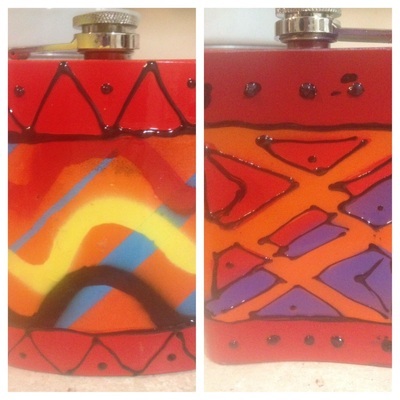 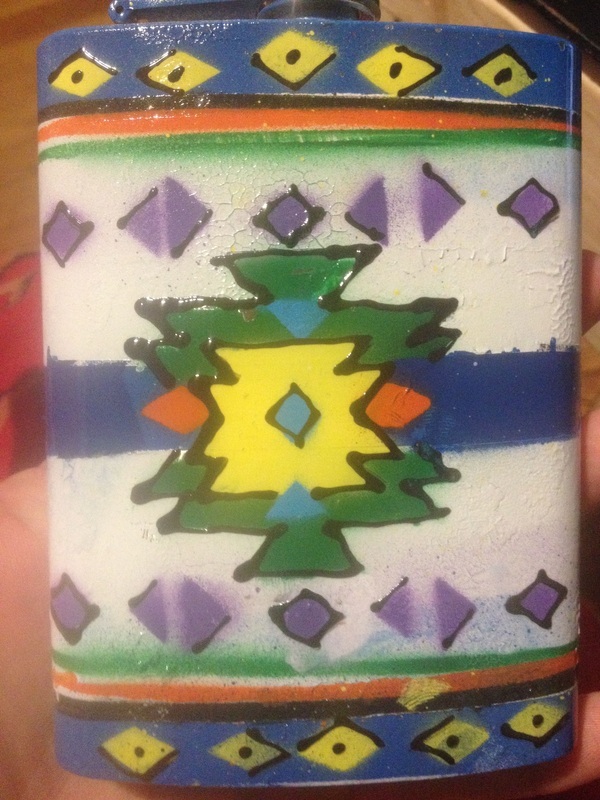 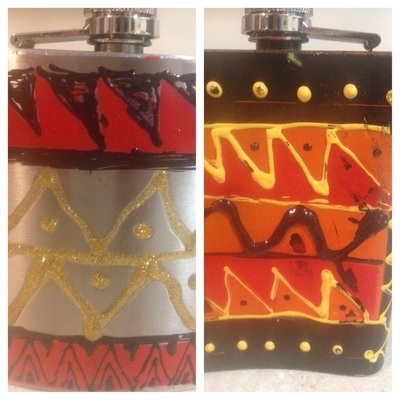 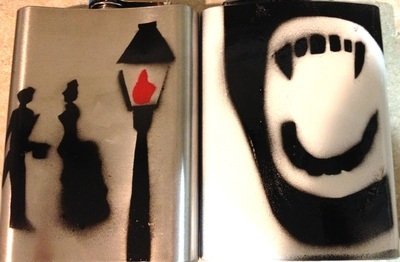 $15 - get one of a theme line of flasks, from Vampires, Sweeney Todd, 007, Tribal, or others. 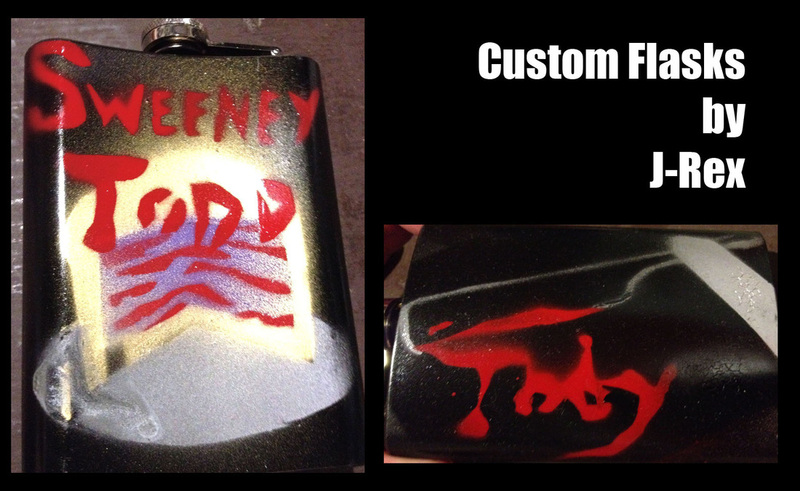 $25 - personalized custom paint job JUST FOR YOU! 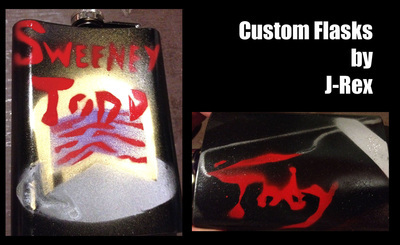 Complete this form to place an order!